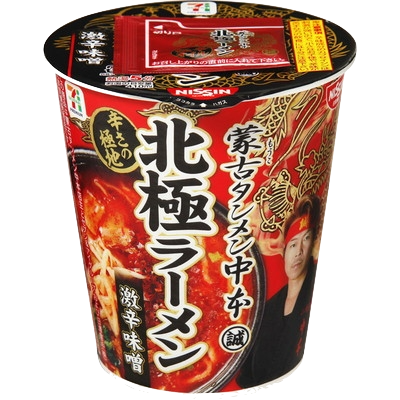 I wanted to give YOU a chance to also try one of the SPICIEST instant ramen noodles I've ever had, Hokkyoku Ramen Nakamoto, which I recently shared in my Spicy Japanese Instant Ramen video. Please FILL OUT the form below for a chance to receive 1 of the 3 Giveaway Instant Ramens. For more future Giveaways, subscribe to my YouTube Channel, Paolo fromTOKYO. I will be announcing the 3 WINNERS on my Instagram - @PaolofromTokyo so FOLLOW ME here to find out the winners in about 1 WEEK. Note: The instant ramen is super spicy. For those of you who can't eat spicy food, please do not try. THaNKS everyone for entering the Giveaway. Please see my Instagram for the winners. Subscribe to my Channel for more future Giveaways.